welcome to the kollel program! 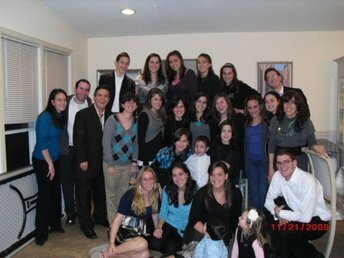 Join a community of fellow Jewish students for a 1.5 hour class, once a week for 8 weeks plus one Shabbaton in Pikesville. Win “Golden Tickets,” which can be used toward gift certificates at local koser eateries. Ask, inquire, discuss vital Jewish issues and earn $250. The stipend is based upon attendance and the Shabbaton. Refreshments and a free T-shirt are provided as a part of the program. If you need to miss classes on your campus, look at the schedule of classes on other campuses to make it up. Class size is limited to 20 people. Contact Efy at efy@jcnonline.org or 410-764-7969 for more info.